All social media platforms are not made equal. Based on the industry and type of business you are in, some social media platforms might be better equipped to help you grow than others. One business might thrive on Twitter and struggle to stay visible on Facebook. Another might be a hit on Instagram and a total failure on LinkedIn. Every business starts with a goal. Without defining your goal clearly, your efforts and attention will be divided by many activities, many of which will have little to do with the goals you should be working towards. According to available statistics, people who write down their goals have a 50% higher likelihood to succeed than those who don’t. While it might be tempting to think that you know your goals clearly and therefore need not write them, doing so might help you notice some things you may have ignored in your mind. This helps refine the defined goals and align all efforts towards achieving them. Your target audience cannot be everyone on social media. All products and services have certain types of people who would be most interested in buying them. Defining this audience will help you focus your efforts on those people most likely to want to engage with your brand. It involves defining their age, gender, location, interests, etc. Each social media platform has certain unique characteristics that capture its users. Understanding these attributes and the potential impact they would have on your brand helps you understand the best ways to use the platforms to grow your brand. Understand the strengths of each platform and how you can use them to best showcase your brand. Before opening a single page on social networking sites, it is important to do your research. Find out who your typical customer is; how do they look, where do they live, where do they like to visit, what do they read, etc. For instance, you might find that if you own a gym for women that Pinterest might be an excellent platform to grow. If you are a clothing that sells trending outfits, Instagram might be your best bet. Choosing a demographic does not mean that you won’t sell your wares to people outside that bracket, it just helps you use your limited resources on a demographic eager to buy and use your products. Indeed, different demographics use social media differently. Therefore, understanding your target demographic will help you design your content in a way that captures the attention of the people best placed to engage with your brand. For example, the demographic could also be a social media user with a college degree, an income of $100k and above 30 years old. So, instead of trying to convince someone who earns $50k to buy a product that only a person earning more than $100k can afford, targeting your demographics will help you use your resources to convince someone who can afford what you are selling. Understanding this will help you choose a social media site where these potential customers are concentrated. The tone of voice of your brand is a determinant when choosing the social media platform to open and run a channel for your business. If your business tone is professional and formal, LinkedIn would be better suited than, say, Instagram. If you are a comedian that intends to share funny videos, Facebook might be a better social platform. You may have a big dream, about how big your brand will one day be, but until that day arrives, you must be grounded in reality. You must understand the resource limits that exist for your brand and how you can grow your company without emptying your savings. For a new brand for instance, it is hard to open and grow a page on Facebook without spending on Facebook ads, yet you can get started on Twitter and Instagram without having to advertise from the very start. On a platform like Instagram for instance, there are websites like socialgrowr.com that help users increase the number of followers organically. 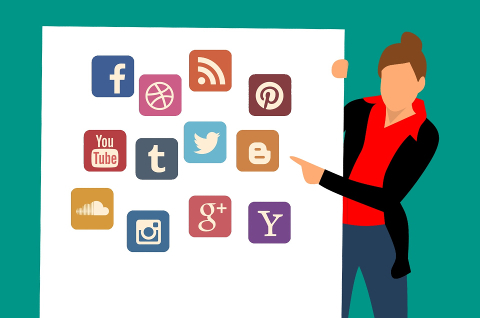 Setting a budget of the amount you are willing to spend to get started on social media can help you choose a social media site to grow your brand. Facebook is a big budget platform for new enterprise but requires little spending once you have acquired the initial list of followers on which to launch all other social marketing strategies. Setting aside a budget will help you compare the money you have with the average amount of money you must be willing to spend to grow on a particular site. Marquis is a writer, social media manager, and SEO content marketer. She currently lives on the coast of Ecuador, working remotely as a freelancer. Her primary focus is on building online visibility of new, up and coming brand, particularly brands that promote health and wellness. She lives a nomadic lifestyle, though is originally from California. This entry was posted on Monday, June 4th, 2018 at 5:05 pm. You can follow any responses to this entry through the RSS 2.0 feed. You can leave a response, or trackback from your own site.